Seriously, USA Today? 40mm Grenade Launchers? Yep, 40mm grenade launchers are somehow a danger, despite their being restricted as Destructive Devices, requiring the usual ATF background check, FBI fingerprinting, $200 tax stamp, and more. And that’s just for the launcher – if you want a 40mm round, each one of those is considered a destructive device as well, if you can even find someone willing to sell you an explosive 40mm round. You know what the penalty is for having an unregistered Destructive Device? Federal Felony charges with up to 10 years in jail & a fine of $250,000. 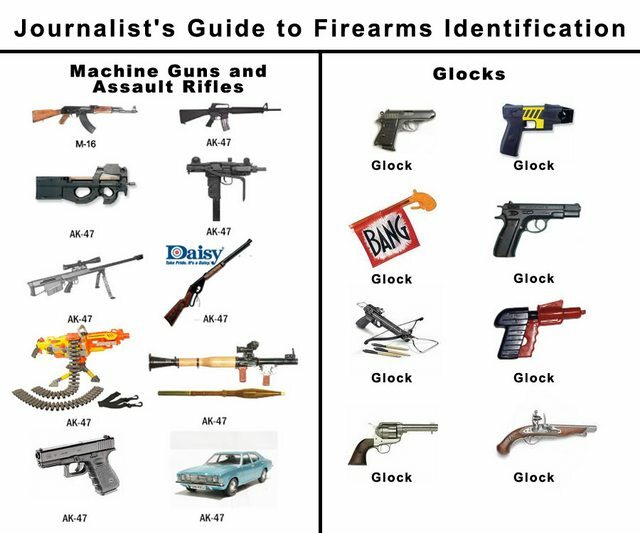 But USA Today thinks these are just an accessory that is commonly available at any gun store. If you want to have a serious discussion about a topic, it helps if you have even a layman’s grasp of the subject matter. 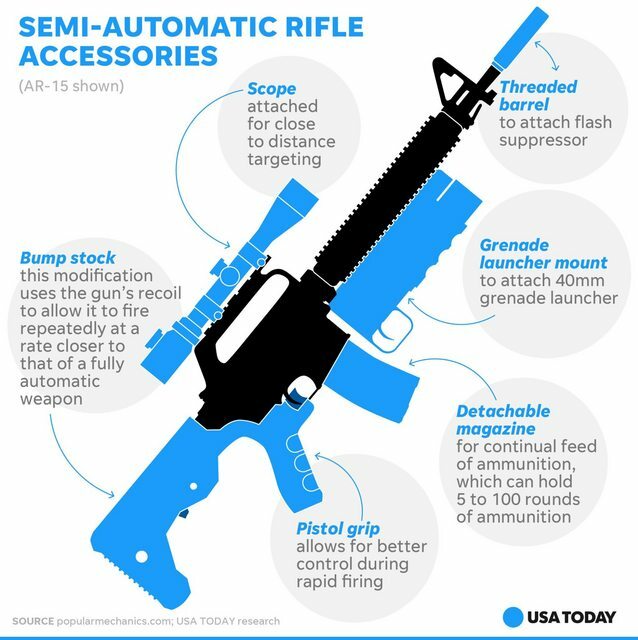 USA Today’s graphic is the epitome of fear mongering nonsense. Next Post Vice interviews a former ATF analyst on bump fire stocks, makes the subtle case to ban semiautomatic firearms.